Random Film of the Week: The Honeymoon Killers | "DESTROY ALL FANBOYS!" While it’s not a horror film, Leonard Kastle’s The Honeymoon Killers manages to be a fairly intense drama/black comedy mix that gets your attention with its true crime story, stark black and white photography and excellent performances from the two leads. This is a film that gets under your skin right away with Gustav Mahler’s intense music setting an oppressively dreary tone for the story of Ray Fernandez and Martha Beck, aka The Lonely Hearts Killers, as they go about their nasty work of lightening the landscape of too-trusting mostly elderly ladies looking for love in all the wrong places. Shirley Stoler, in her film debut is great as Martha, a head nurse signed up to a dating service by a neighbor (Doris Roberts, playing it nosy and charming). She may be large and in charge of the nurses under her, but her love life is a total bust and her neighbor is only trying to help out her gloomy gal find a man. The tough as nails Martha eventually strikes up a mail relationship and eventually meets Ray Fernandez (Tony Lo Bianco), a handsome guy who treats Martha right… up until he dumps her and runs off with a chunk of case she loans him. Undeterred, Martha traces Ray down and with the help of her neighbor, convinces him that Martha tried to kill herself. Ray falls for Martha’s lie and when they meet again it’s sort of love at second sight even after Ray tells Martha he’s a love ’em and leave ’em grifter. Undeterred one again, Martha decides to let Ray keep his day job, provided she’s in on the arrangement. Now, of course, NO good can come of such a pairing, as part of Ray’s job description is to get a little intimate with some of his victims and big Martha is having none of that. All of the victims in the film are mildly to insanely gullible, making getting money from that and leaving town a simple bit of business under normal circumstances. However, Martha’s jealousy and Ray’s lies lead to some deaths and their eventual capture, trial, imprisonment and executions. Although this was a low budget film ($150,000), it’s more than watchable and quite memorable with the tension building to an extreme before some of the murders. There’s only one scene that’s violent (someone gets it with a hammer), but it’s more unsettling because of the lighting and where the body ends up. A later pair of deaths is more shocking and are what put an end to the pair as killers, but to the end it seems they were pretty unrepentant about their deeds. I didn’t know that Martin Scorcese was initially hired as a director before being replaced for not shooting quickly enough. His replacement didn’t last too long, so Kastle, who wrote the film based on the true story of the actual 1947-49 spree, but setting the story during the 1960’s (most likely to keep production costs way down) ended up stepping in and completing the bulk of the film. Interestingly enough, Kastle was also known as a composer, but chose not to score the film with original music. Instead, a section of the 5th Symphony and first movement of the 6th Symphony from Gustav Mahler was used to stunning effect. The use of Mahler adds the weight of fate’s hammer slowing swinging down onto the victims and eventually Martha and Ray. 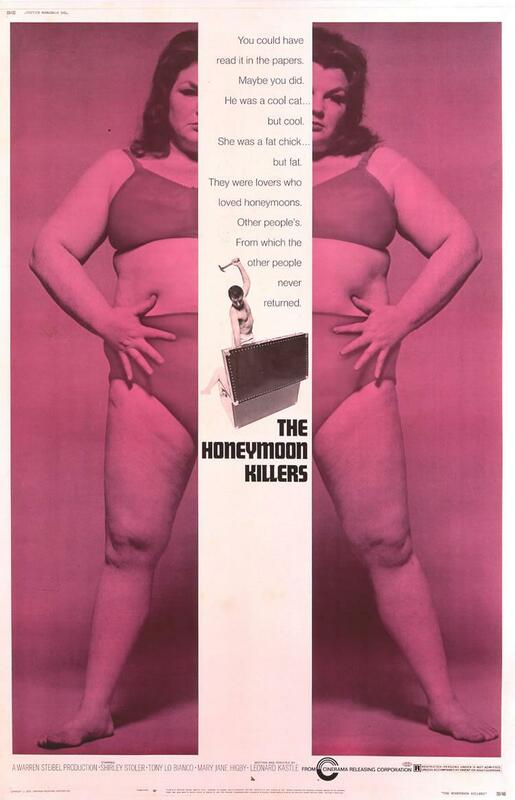 This entry was posted in DAF, Updates and tagged 1969, 2013, Cinerama Releasing Corporation, Classic Films, Commentary, Horror, Humor, Movie Clips, Movie Posters, Movie Trailers, Movies, Random Films, The Honeymoon Killers by geelw. Bookmark the permalink.